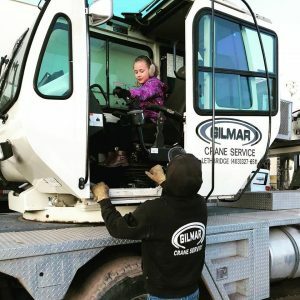 We had a little visitor to our shop today and she got to be a crane operator for a day (or at least a few minutes). Future operator or Gilmar Crane employee? Maybe?!?! 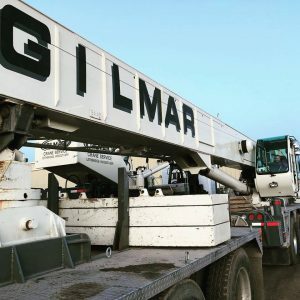 Did you know that Gilmar Crane Service was established in Lethbridge Alberta in 1966 as a locally owned and operated family run business? The business is still owned and operated by Bob Gilmar and his son Heath. 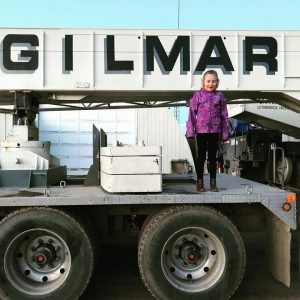 The family at Gilmar Crane Service takes pride in providing it’s community with quality crane services including crane rentals, erecting, heavy hauling and pilot services along with specialized rigging (commercial equipment handling). We invite you to contact us for a quote on all your service needs and wish you a happy holiday season.